Starbucks is one of our favorite places. It is always a bummer standing in line looking at all the pretty pastries in the case. We have shed many tears and had more than one argument about can we have it-NO! So it is always exciting when there is something new in the packaged products that maybe we can eat. 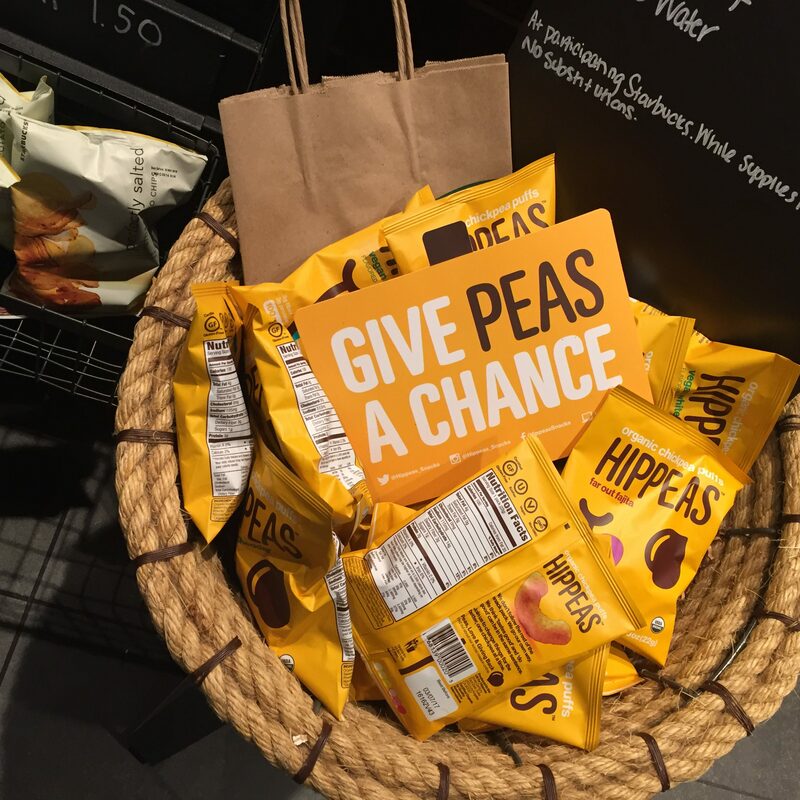 This fall it has been the Hippeas. The Fajita flavored ones are the preferred flavor. I can even eat the regular flavored ones. (No Nightshades!) And who doesn’t like a product with a pun for it’s name.